Cyprus has warm sunshine, stunning sandy coves, and friendly tavernas, making this island a classic beach holiday destination. Whether you want to let your hair down and party 24/7, simply want to chill out and relax in a luxurious resort to enjoy some me-time, or are looking forward to splashing in a warm sea with the children, you’ll find something for everyone on this sunshine island in the Med. FREE HALF BOARD UPGRADE for arrivals 3-7 May and 20-27 August 2018. Save over £100 per person per week. Popular 4* Deluxe adult only property. 7 nights from only £699 per person for May departures from Gatwick. Other airports and dates available on request. More nights available. The hotel is located around the Larnaka area – which is a sunny seaside resort where you’ll find many restaurants, cafes and bars. More nights available. Treat yourself in the new year with this great value Paphos deal – a 7 night All-Inclusive family holiday at a fabulous hotel, including return flights – all for only £368 per person! 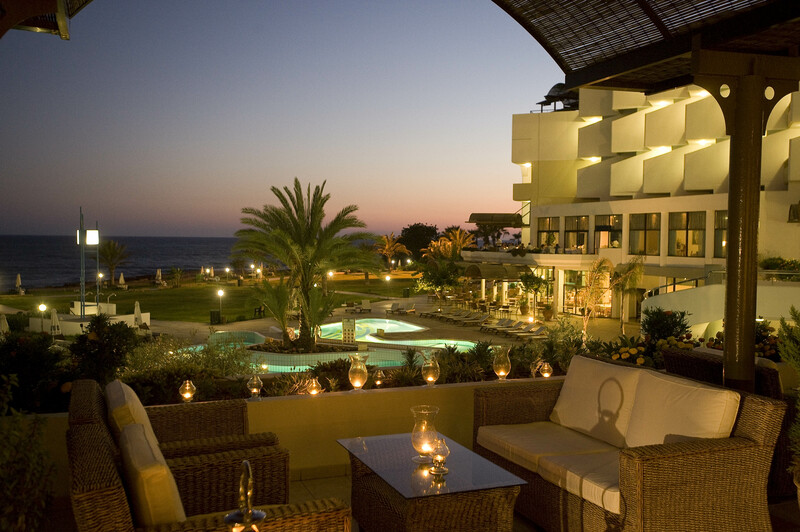 Your Paphos Holiday Package Deal You will be staying at a 4 Star hotel. More nights available. I love a little bit of luxury. And, I can bet this holiday is the perfect thing for that. Anyone who lives for lounging under the sun and just taking it nice and easy, then you bet we have the perfect getaway in mind for you! Book this luxurious holiday to Cyprus. More nights available. There are some spots that are lucky enough to get year round sunshine, and today you’ve got the chance to book a week long trip to one of them. Enjoy Cyprus! More nights available. Cyprus Villa Holiday in 2018! Get 7 Nights incl. Luxurious Villa, Flights & Transfers. More nights available. Cyprus is truly the pearl of the Mediterranean Sea :) With beautiful coastlines and stunning historic sites there is so much to see, you won’t get enough of this island. Located in Ayia Napa you’re right by the Nissi beach. More nights available. I found you this Traditional Cyprus Holiday in June 2017! This deal includes 7 Nights incl. Hotel & Flights. You will be staying in one of the traditional tourist villages of Polis and Latchi in a hotel including breakfast. More nights available.